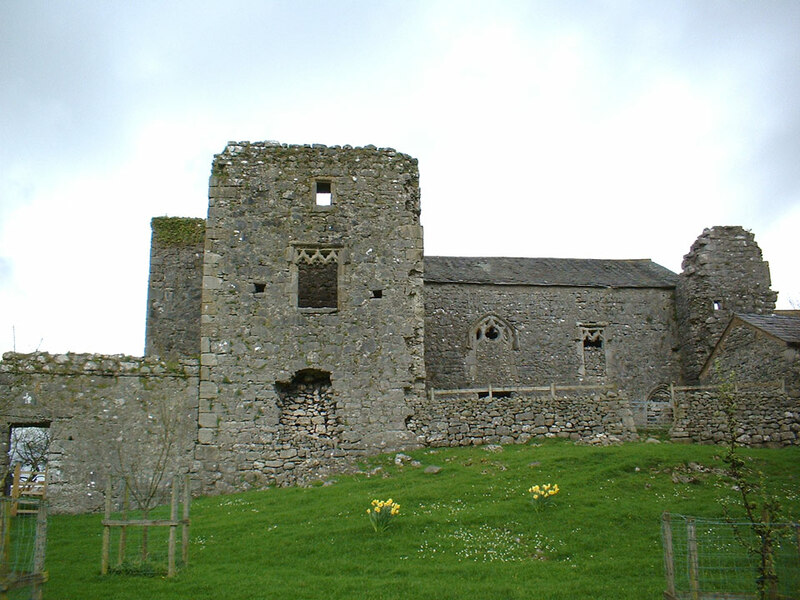 Some of the stonework remains from this 14th century fortified manor, surrounded by a curtain wall, ninety metres of which survives up to a metre thick in places with loop holes throughout. 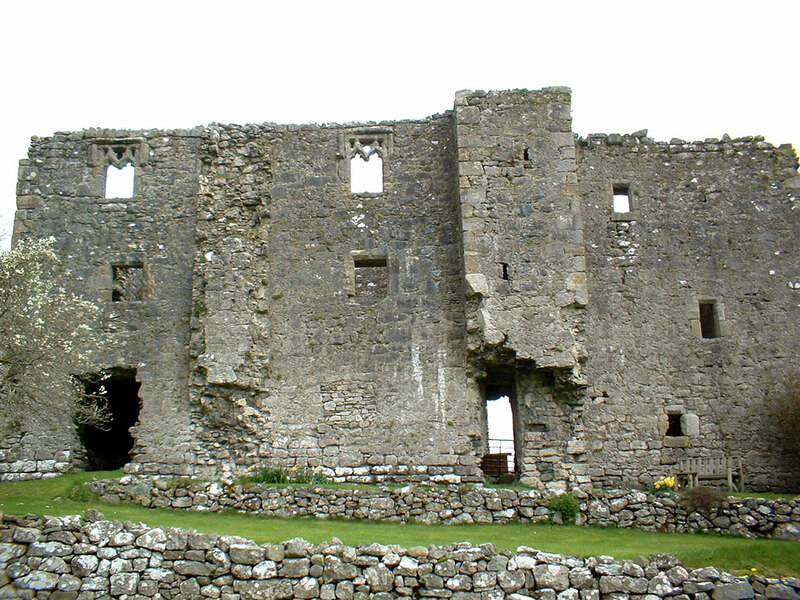 The main tower was probably three storeys tall, and topped with battlements, but these have long since gone. 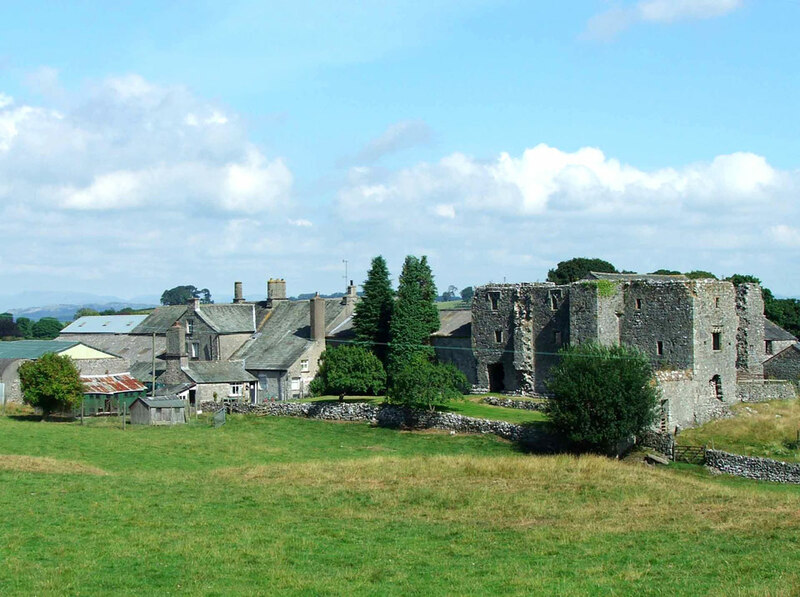 The hall has been in ruins ever since it was taken from the Royalists by Thomas Fairfax in 1644. 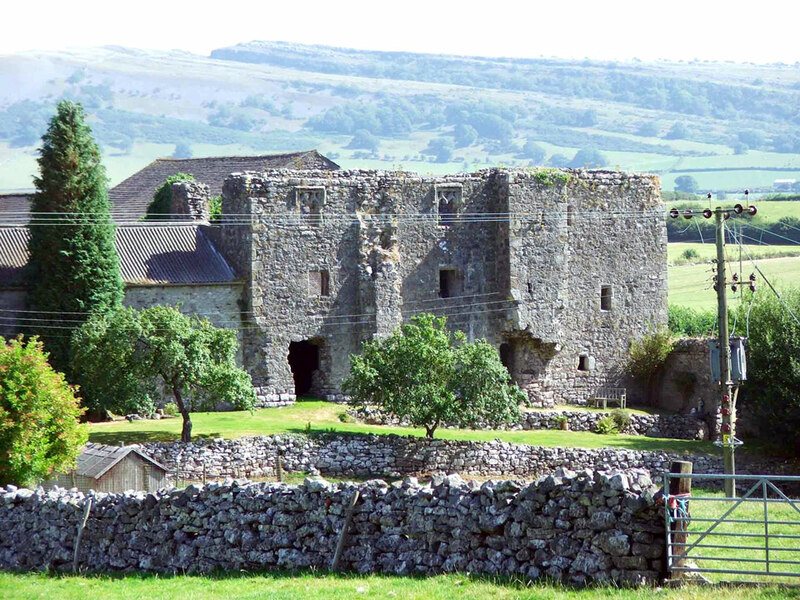 It is now occupied as a farm house.